Well, yes, they definitely make monitors. 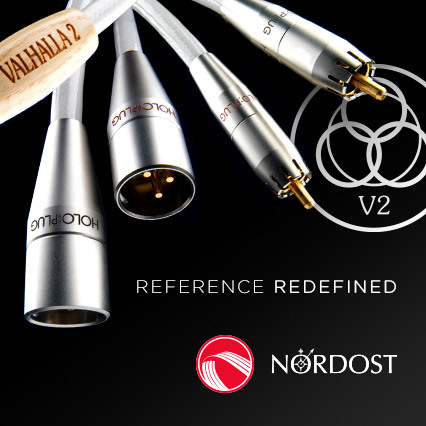 The history of this company founded in 1977 by Dudley Harwood, ex BBC's R&D engineer, is like a textbook of development of ideas firstly used for BBC monitors and later for many other recording and mastering studios. 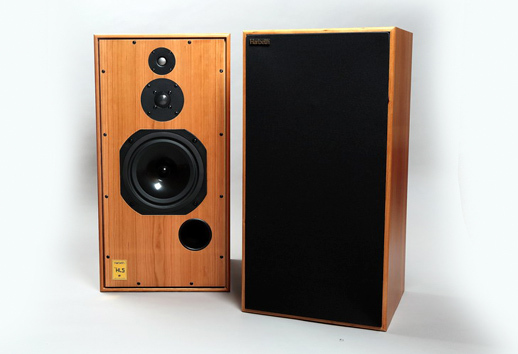 It didn't change even after Hardwood retired in 1986 and was replaced by Alan Shaw, who magically managed to preserve sonic character of these speakers adding some new features over time. Because while one can find in company's portfolio quite modern speakers, the core offer is still the Classic series. The change for M40.2 model was made only in the crossover. Neither drivers nor cabinets changed a bit. Super HL5Plus is a different story, though. Alan started and supervised a research program, that was supposed to find an alternative material for drivers cones. Dudley Harwood used a sort of plastic for his mid- lowrange drivers. Research started in 1990 lead to creation of a new material called RADIAL (an acronym for Research And Development In Advanced Loudspeakers). RADIAL replaced polypropylene that had been used before. It offered higher rigidity and lower mass at the same time. It allowed a driver to act as a piston in a wider frequency range. Developing this material wasn't obviously the end of the story as the first loudspeakers with new cones were introduced only in 1995. New drivers meant also new crossovers. The thing that didn't change were tweeters custom made by SEAS (RADIAL drivers are manufactured in-house by Harbeth). The research did not stop after developing RADIAL material, works are still continued even today. The next achievement was a new, improved formula for RADIAL that was called RADIAL2. 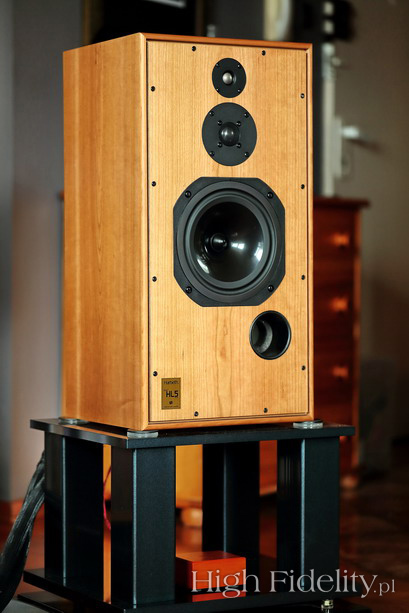 And while Harbeth changes model in their portfolio rarely, they decided that advantages of this new material were significant enough to introduce them to existing models. And so instead of M40 Harbeth started to offer M40.1, M30 was replaced by M30.1, and now Super HL5 is gone and Super HL5Plus is born. On paper changes don't look too significant – slightly lower sensitivity (85 vs 86 dB), and now impedance is given as 8Ω, a not, as before, as 6-8 Ω. I found also interesting that the weight of the speaker seemed lower by 2kg (17,2 vs 15,2 kg), also frequency range reaches 20 instead of 24 kHz. It is possible though, that this is some sort of misunderstanding rather than real facts. 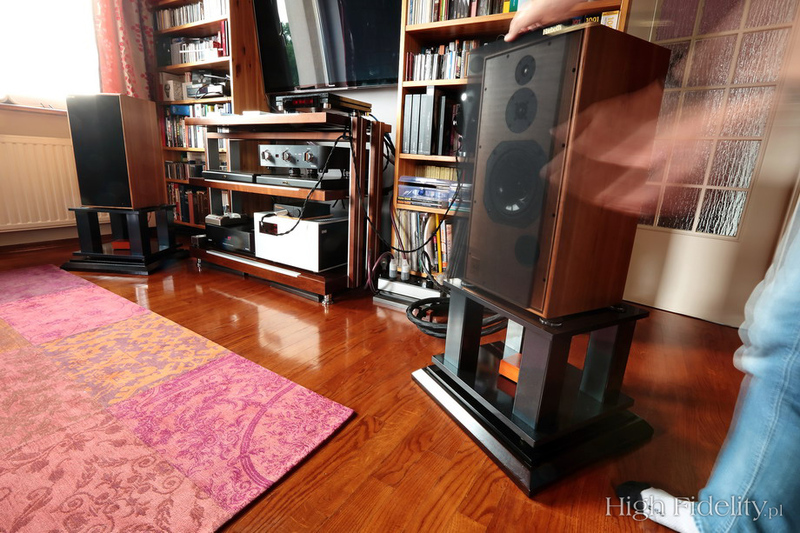 Usually though, parameters given by Harbeth are very precise, as it was pointed out by John Atkinson, in his review of Super HL5Plus in„Stereophile” (Art Dudley, Super HL5Plus, „Stereophile”, 2015, Vol.38 No.6, s. 73-77). Super HL5Plus is still a stand-mount speaker, although intended for use with low stands, 3-way with vented cabinets. Low- and midrange is reproduced by a 200 mm driver with a RADIAL2 cone and a solid basket. Treble is reproduced by two tweeters. The one placed lower is a 25 mm driver with aluminum cone, the upper one is a 20 mm driver with titanium dome (manufacturer calls this driver a Super Tweeter). Designers decided to use two tweeters for an extended and even dispersion to the upper edge of the audio band. In accordance with company's philosophy all baffles, except for front and rear one, are rather this. Instead of damping vibrations they tuned in such a way that the whole speaker sounds best. The front and rear baffles are fastened to the enclosure with wood screws driven into furring strips. This solution allows to break the transmission of vibration and hence they are not transmitted on other baffles. These loudspeakers are finished with natural veneer not only outside but also on the inside of all baffles and customer might choose from a number of available colors. The basic one is Cherry, which will cost you 16 700 PLN, for Eucalyptus finish (available upon order) one has to pay bit more - 17 220 PLN, and finally for Rosewood and Tiger Ebon – 17 640 PLN. Venecie Mundi Splendor, wyk. La Reverde, Arcana A 387, CD (2015). Bemibem, Bemowe Frazy, Polskie Nagrania MUZA/Polskie Nagrania PNCD 1096, “Polish Jazz DeLuxe”, CD (1974/2007). Bob Dylan, Bob Dylan, Columbia/Mobile Fidelity UDSACD 2122, "Special Limited Edition No. 2388", SACD/CD (1962/2014). Charlie Parker,South of the Border, Verve/UMG Recordings UCCV-9479, „David Stone Martin 10 inch Collector’s Selection”, SHM-CD (1951-52/2013). Depeche Mode, Ultra, Mute/Sony Music Labels SICP-30543, Blu-spec CD2, (2007/2014). Mike Oldfield, Tubular Bells, Mercury Records/Universal Music LLC (Japan) UICY-40016, Platinum SHM-CD (1973/2013). Miles Davis, Sorcerer, Columbia/Mobile Fidelity UDSACD 2145, “Special Limited Edition, No. 1938”, SACD/CD (1967/2014). St. Vincent, S/T, Loma Vista/Hostess 3767247J, CD (2013). The speakers under review were placed on the same stands I use for my M40.1. It means roughly 38 cm from the ground, and the tweeter at 86 cm, which means exactly in axis with my ears. Art Dudley in his review mentioned that he used 50cm stands so the tweeter was at 100cm. But since I listened in the same way also some other speakers of similar dimensions before, like JBL 4319 for example, I knew that placing them bit lower would give better sonic results in my case, as I simply sit lower when listening. Harbeth does not offer their own stands leaving experimenting with different designs to their customers. They are often sold with light Canadian Skyline stands (also in Poland) and this might be a starting point. But every Harbeth owner should be aware that there are also other companies offering different also heavy ones, stands like, for example, Polish Rogoz Audio and some others. But there is yet another possibility. This year in Munich Harbeth exhibited together with another British brand, unfortunately I did not write down its name, nor did I take a picture of the name – but you can see them on images below this test. This option might be worth trying out as the Japanese fans of the brand often use wooden stands that look like stools. And trust me – these might be speakers for a lifetime and once you get them you should do everything possible to ensure they work in perfect conditions by tweaking the entire environment (system) they work in. The speakers themselves are infinitely perfect. It's a modern version of BBC's idiom. While preserving key elements of the original sound, like coherency and naturalness, now users get much more spacial presentation with a a better bass extension and definition. I'll get to these two elements of Super HL5Plus sound in a moment. First let me tell you about resolution. Most people have problems with it as they define it in many different ways. It is often confused with selectivity, detail reproduction and even with differentiation. In fact it is closely linked to all of them. A highly resolving audio component offers these features as a package, not as a separate features of the sound, and that's how it is perceived by a listener. If that's how we agree to define resolution – Harbeths are remarkably resolving. It will be something that remains in our memory even long after we change these loudspeakers for some others. Why? Because it is such a natural feature for these speakers! Naturalness of the sound is build based on the resolution. The speakers under review turned out to be true all-rounders, true monitors. But because they sound so natural, and because mid-bass seems a bit warm, most people will prefer to listen to recordings of acoustic instruments, and maybe some electric but analogue ones (this counts also for synthesizers). This allowed the newest album of La Reverdie to sound that good. This album with music from medieval Venice, realized by Ms Alina Blondiau was released thanks to the money raised via a fundraiser. On available photos one can see her monitoring recorded material already in Palladian Reflectory in Venice (where it was recorded) via a high quality Stax headphone system. Which means that she knew very well what she listened to.